In response to customer feedback, VMware is helping consolidate backup and recovery solution. Moving forward after vSphere 6.5, focus will be on Storage APIs – Data Protection (VADP plugin) to further strengthen the vSphere backup partner ecosystem providing with a choice of solution providers. As a result of customer feedback and new direction, VMware is announcing the End Of Availability (EOA) for vSphere Data Protection (vDP). vSphere 6.5 is the last release to include vSphere Data Protection and future vSphere releases will no longer include this product. All existing vSphere Data Protection installations with active Support and Subscription (SnS) will continue to be supported until their End of General Support (EOGS) date. The EOGS dates for vSphere Data Protection are published on the VMware Lifecycle Policy Matrix under the dates listed for different versions. After the EOA date, you can continue using your existing installations until your EOGS dates. VMware supports a wide ecosystem of backup solutions that integrate with vSphere and vCenter using vSphere Storage APIs – Data Protection (VADP) framework. You can use any data protection products that are based on this framework. Dell EMC is offering you a complimentary migration to the more robust and scalable Dell EMC Avamar Virtual Edition. vSphere Data Protection is based on Dell EMC Avamar Virtual Edition, a key solution for protecting and recovering workloads across the Software Defined Datacenter. What is Promiscuous mode in VMware virtual networking? What is TRIM/UNMAP in vSAN 6.7? 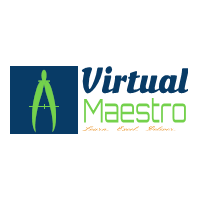 Virtual Maestro. Powered by Blogger.